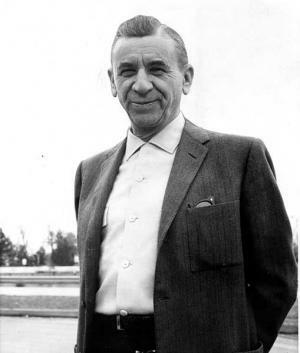 Meyer Lansky was born as Meier Suchowlański on the 4th July 1902 in Grodno, Poland, Russian Empire (now Hrodna, Belarus), and he passed away on the 15th January 1983 in New York City, USA. He was best known for being a major organized crime figure, who developed the National Crime Syndicate in the USA. He was also recognized by his nickname “The Mob’s Accountant”. Have you ever wondered how rich Meyer Lansky was? According to authoritative sources, it was estimated that the total size of Meyer’s net worth was over $600 million, which was accumulated through his career as a mobster over a period of 50 years. Meyer Lansky was raised in a Jewish family, who moved to the USA when he was nine years old, and settled down in the Lower East Side of Manhattan, New York City. He originates from Poland, however, his father emigrated to US, and two years later, he and his mother, took the chance and moved to New York, as well. Meyer`s career began when he was a teenager; he met and befriended Bugsy Siegel, and since then began a partnership in crime which lasted for the rest of his life. The two then began to collaborate with Lucky Luciano, and by the 1930s, started the National Crime Syndicate, which consisted of numerous small and large crime organizations across the US. Little by little their organization grew, and known broadly as ‘the mob’ Meyer became the accountant. He started illegal gambling operations in Florida, New Orleans, and New York, and the money he would win, he would transfer to Swiss banks, so avoiding tax. This increased his net worth by a large margin. Eventually Lansky’s net worth rose enough to buy his own bank in Switzerland, which further helped him in his illegal activities. However, after the Second World War, the mob`s influence began to decline in the face of public outcry and police operations, but he still managed to work without any problems, until 1970 when he fled to Israel to avoid possible incarceration. However, he was extradited in 1974 and charged, by he wasn`t convicted due to the lack of evidence. When it comes to speak about his personal life, Meyer Lanski was married first to Anna Citron (1929-47), and then to Thelma Schwartz from 1948 until his death and had three children. He spent his final days in his home in Miami, battling with lung cancer, from which he passed away at the age of 80. His life and work inspired the creation of numerous mob characters in films and TV series, including Hymen Roth in “The Godfather II”, Maximilian “Max” Bercovicz in “Once Upon A Time In America”, “Mobsters” where he is portrayed by Patrick Dempsey, and in film “Havana”, where he is played by Mark Rydell. 1 Don't worry, don't worry. Look at the Astors and the Vanderbilts, all those big society people. They were the worst thieves - and now look at them. It's just a matter of time. 2 All pro sports, as well as the NCAA, should thank God every day we have sports betting here... We have the only agency in the world that regulates the honesty of games. 1 Attempted to flee to Israel in 1970 to avoid charges of tax evasion but was refused entry. 2 The character of Hyman Roth in "The Godfather" was based on him. 3 He was so elusive that the FBI gave up monitoring him in the mid 1970's. 4 Became friends with Bugsy Siegel in his teenage years. 5 Along with Bugsy Siegel, he was instrumental in forming the National Crime Syndicate. 6 He and Siegel formed the Bugs and Meyer Mob in their teens and developed a reputation as one of the most violent gangs in New York. 7 After Al Capone was indicted for Tax fraud, Lansky moved much of his earnings to offshore accounts in Switzerland. 8 For decades, he was considered one of the most powerful men in the United States. 9 Is portrayed by Ben Kingsley in Bugsy (1991). 10 Biography in: "The Scribner Encyclopedia of American Lives". Volume One, 1981-1985, pages 486-488. New York: Charles Scribner's Sons, 1998. 11 Much as the character Moe Greene in The Godfather (1972) was based on Lansky's associate Bugsy Siegel, the character of Hyman Roth from The Godfather: Part II (1974) was based on Lansky. 12 Born in Poland of Jewish parents. Childhood friend of Lucky Luciano.